* Traditional Folk Song of Chania, Crete, arranged and produced by Vangelis. Featuring the Choir of the Historical, Cultural and Folklore Association of Chania, Crete. Kritikes Maderes. ** Composed and Performed by Psarantonis, arranged and produced by Vangelis. *** Written and Perfomed by Loudovicos Ton Anogion, arranged and produced by Vangelis. 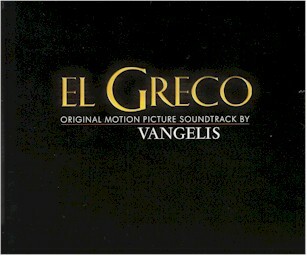 El Greco: an Iannis Smaragdis film.